Things have been crazy up in here! Charley had hip surgery two weeks ago and I’m literally just trying to stay caught up. The first few days he was home, I watched him like a hawk because I didn’t want to put the cone of shame on him, he looks so pathetic when I have to. Every day, he gets better and better, which is a huge relief and tomorrow he gets his staples out! Yay! This recipe…is a huge triumph for me. Not sure if you know this but I didn’t eat pork for a longgg time, like 15 years long. I don’t have a really good reason for it, I just didn’t eat it. Thought I didn’t like it and didn’t really know how to cook it. Last year on a trip to Italy, I had truffled salami and it was all over. I can’t even describe how amazing it was. I’m slowly learning how to cook with pork…because I honestly have not done it that much. Curtis loves pork so I would cook it every so often for him. Needless to say, he’s very happy that I eat pork now and ummm…not very happy he has to share bacon with me hahahahaha. I’m so excited I can cross one of those items off, making pulled pork! But in a slow cooker! It’s so easy and the first time I made it, Curtis LOVED it. I told him, I have to make it again to make sure it’s not a fluke. Made it again and amazing. Score! First put the spice rub together, it’s simple ingredients that I’m sure you already have. Salt, black pepper, optionally (cayenne pepper – Curtis likes it without, I like it with), garlic powder, onion powder and paprika. 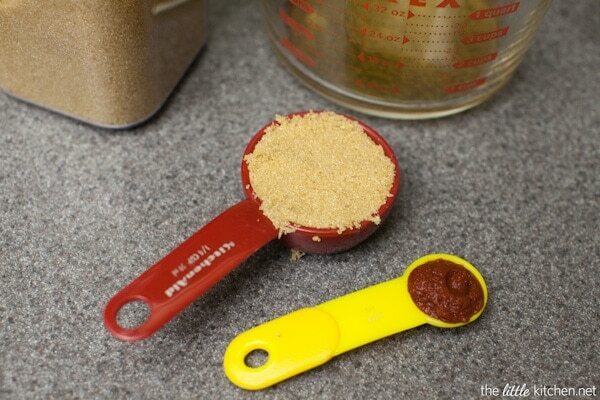 I pack my brown sugar always and I recently found a tube of tomato paste that keeps in the fridge, no more wasting! 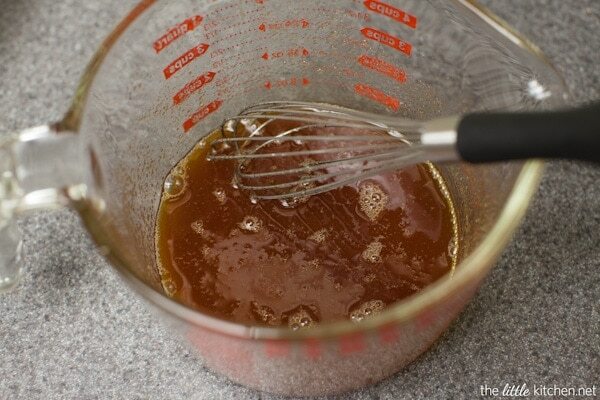 Whisk the cider vinegar, brown sugar and tomato paste until it’s thoroughly mixed. Add the minced garlic and mix again. 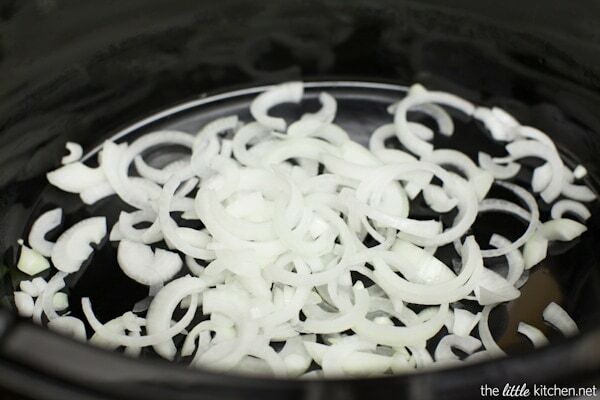 Cut up the onion and add to the bottom of your slow cooker. cut it into 4 or 5 pieces. I do this because I want as much of the pork to get the rub mixture as well as the vinegar mixture while it’s cooking. Add the pork to the crockpot. 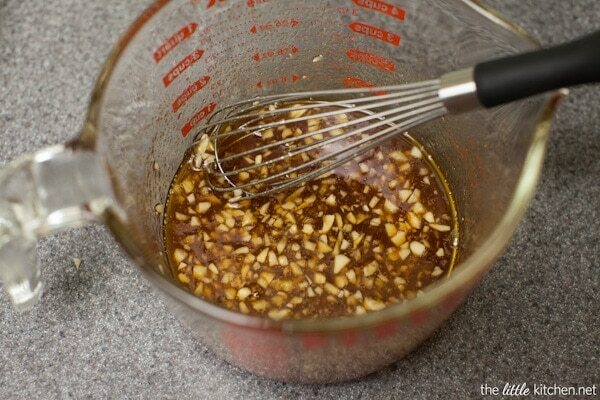 Pour the vinegar mixture on top and then cook on low for 8 hours or on high for 4 hours. It’s so good and makes great leftovers too…on nachos, in a panini or a grilled cheese! 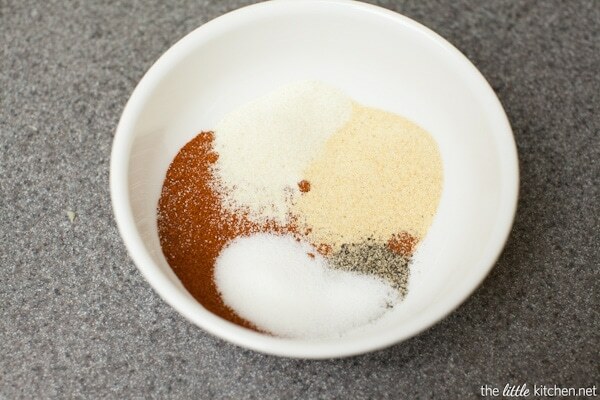 Mix salt, black pepper, cayenne pepper, garlic powder, onion powder and paprika together in a small bowl. Measure out all other ingredients and prep garlic and onions. Add onions to the bottom of the slow cooker. Whisk together cider vinegar, brown sugar and tomato paste. Add garlic cloves and mix, set aside. Rinse pork and pat dry. 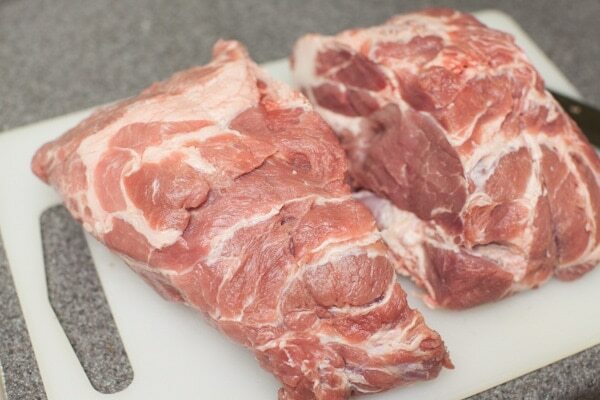 Trim fat off pork and cut into 4 or 5 pieces. Add spice rub mixture to pork pieces. Add a little bit of oil to the pork pieces and rub in. Add remaining oil to vinegar mixture and whisk. 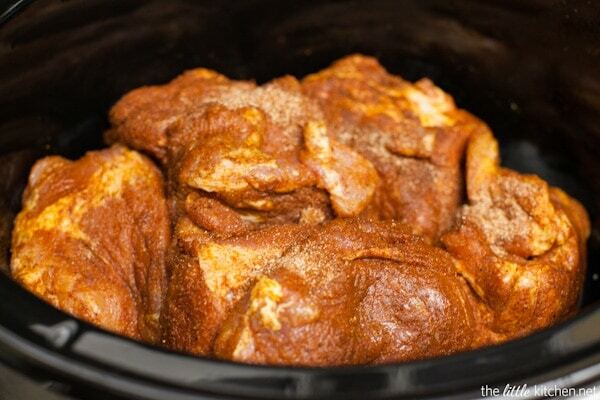 Add pork to the slow cooker on top of the onions and sprinkle any remaining spice rub mixture on top. Pour vinegar mixture on top. 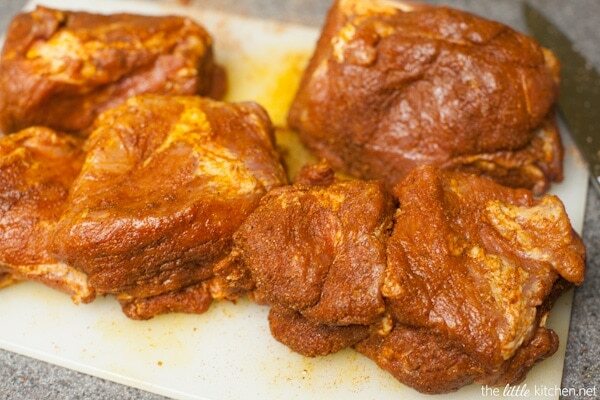 Cook pork on low for 8 hours or on high for 4 hours. 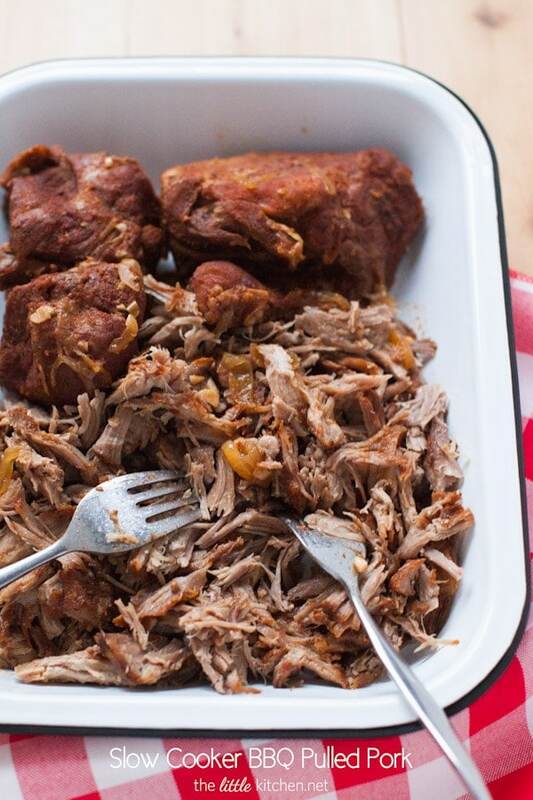 Once the pork is finished in the slow cooker, turn the slow cooker off and remove the pork and place on a plate and loosely cover with foil. Allow the pork to rest for 15 to minutes. 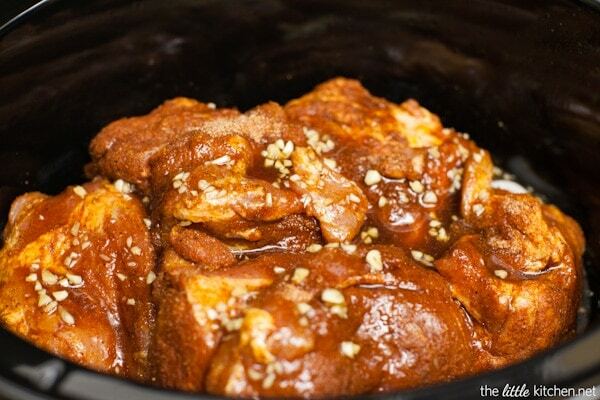 Using a spoon, skim the fat from the juices in the slow cooker. 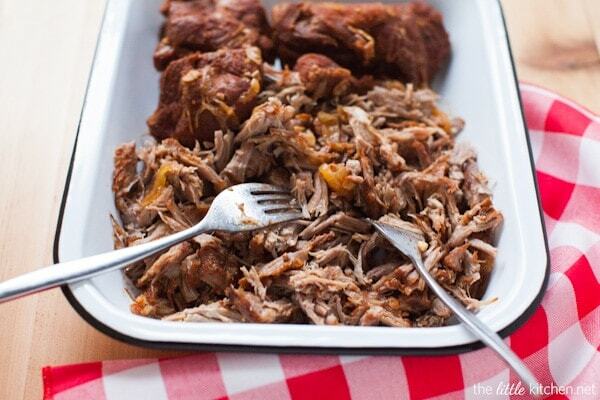 Using two porks, shred or pull the pork. 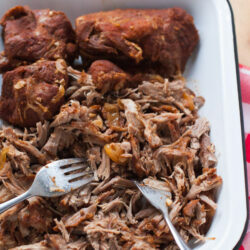 Add the pulled pork back to the slow cooker, mix with tongs and turn the slow cooker on warm. Serve immediately on dinner rolls or hamburger buns. 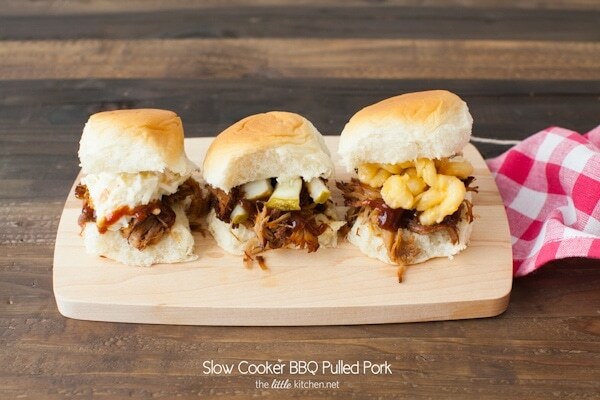 We served them on sweet dinner rolls…and I can’t choose which way I like it best, with cole slaw, pickles or mac & cheese! Now, I want to hear what your #PorkBucketList items are! Please share in the comments or on Twitter, Instagram or Facebook using the #PorkBucketList hashtag. I can’t wait to share as I cross one more item off my list AND an amazing giveaway with you next week! Disclosure: This post is sponsored by the National Pork Board. All opinions are my own and I only work with brands that I love.